Rival Gaming, a leading online casino software providing company has recently introduced an innovative and extremely exciting opera themed slot game in its partner casinos. It is an entirely different slot game that will definitely offer unlimited fun and excitement to slot lovers. Opera Night is a video slot game where several international stars take center stage. Each one of them portrays a specific personality. It is an animated video game that is the only one of its kinds. Rival Gaming is a software company that provides innovative and exciting games to many online casinos. The company provides casinos a wide range of slot games and video poker games as well as table games. Each game is exceptionally well designed and is graphic-rich. Some of the best Rival Gaming casinos are Black Diamond Casino, Tropica Casino, Vegas Regal Casino, Vegas Palms Casino, Golden Tiger Casino, Casino Action, Platinum Play Casino and Royal Vegas Casino. Rival Gaming also offers iSlots (Interactive Slots) games that are not available with any other gaming software provider. Though Rival Powered online casinos are relatively new in the online gaming industry, they have definitely made their own place in the market. In just four years, they have introduced several innovative and interactive online games. Additionally, their games are entirely different and some of them are not available through any of the other gaming software providers. Opera Night is an animated video poker game that features a fat lady in the introductory clip of the game. The lady singer emits such a high pitch note that it cracks the conductor’s glasses. The theme is set in the opera stage and characters come and go from the stage when the players spin. The game features super funny animated characters showing off their swords. Some of them appear on the screen dancing or waving fans. Along with this, the game also features an applauding audience to keep you enthralled in the action. With a winning combination, the symbols in the Opera Night are animated. The characters who brandish their swords are the African Queen and the knight. The Japanese Geisha appears waving her fan, the Spanish dancer doing the Flamenco and the American Revolutionary signs the Declaration of Independence. There is a lady in the audience who raises her binoculars to her eyes to have a better view of what is happening on the stage. The whole background is very colorful and opera themed with music that makes it very pleasing and enjoyable. The Spanish dancer serves as the wild symbol, the conductor is the scatter symbol and the male singer is the jackpot symbol offering a payout of 2,000 coins if five symbols get aligned in an active pay-line. If these three symbols are displayed on the screen, it awards five free spins. 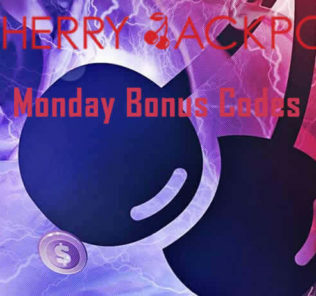 Players may also get ten free spins when four symbols appear and twenty free spins when five symbols appear in an active pay-line. The most exciting part is that during free spins, the payouts are tripled. If three or more female singers appear anywhere on the reels, the player triggers the bonus game.